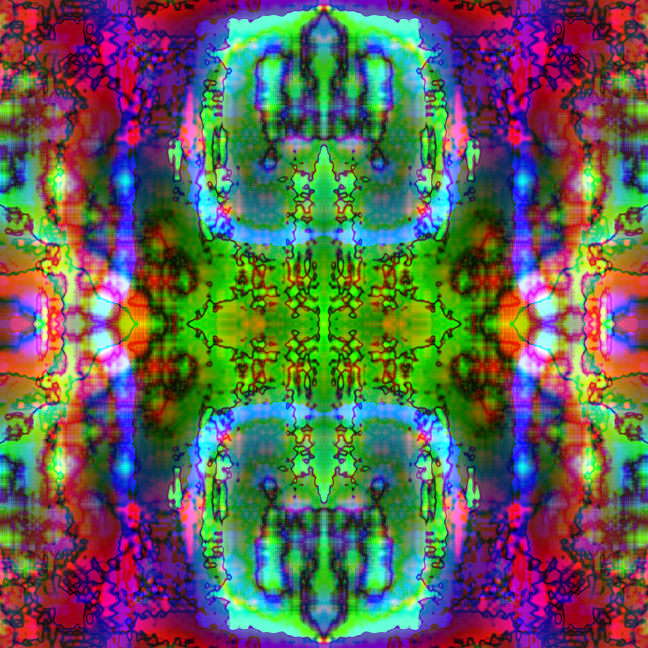 Images created from glitches found in videos on Facebook. 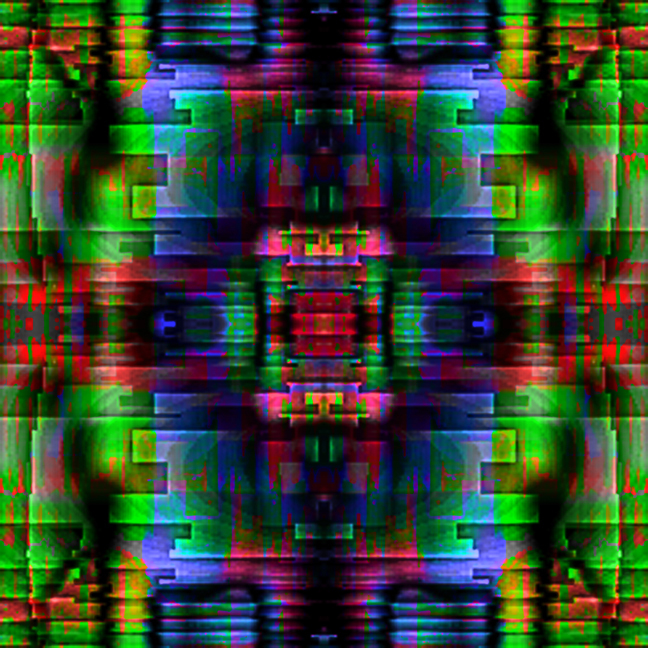 Videos freeze in glitch patterns as they were scrolled up the Facebook newsfeed. 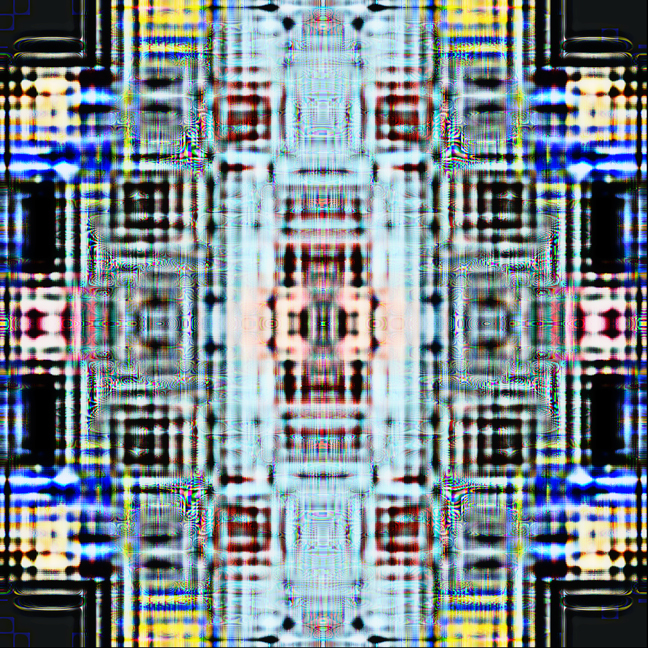 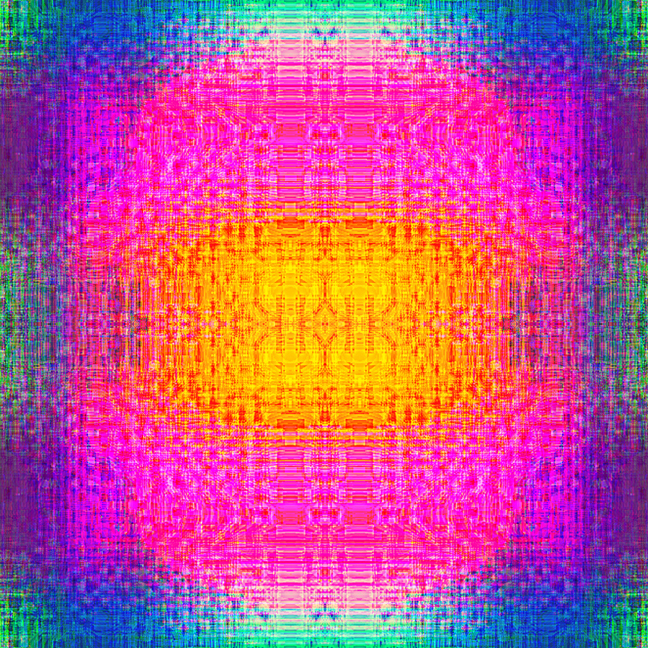 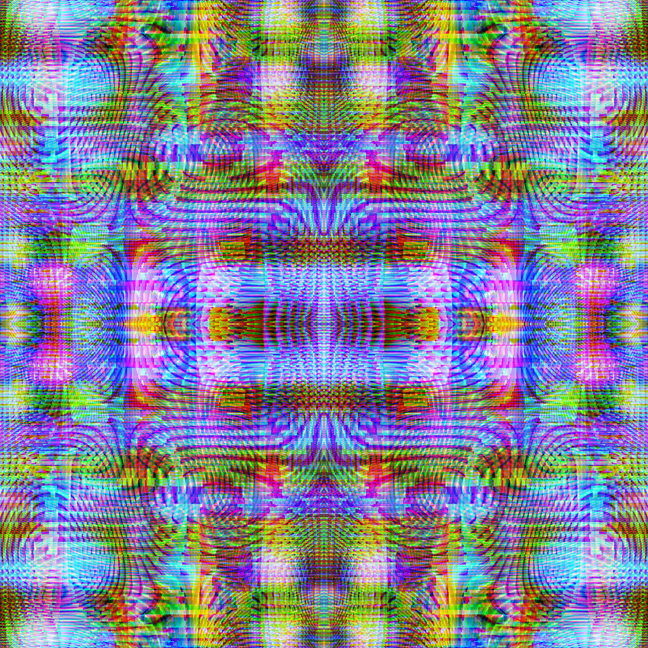 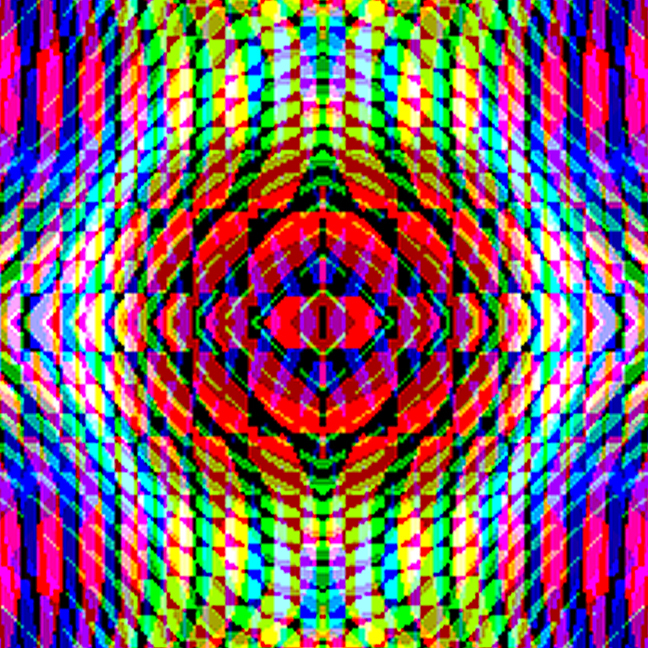 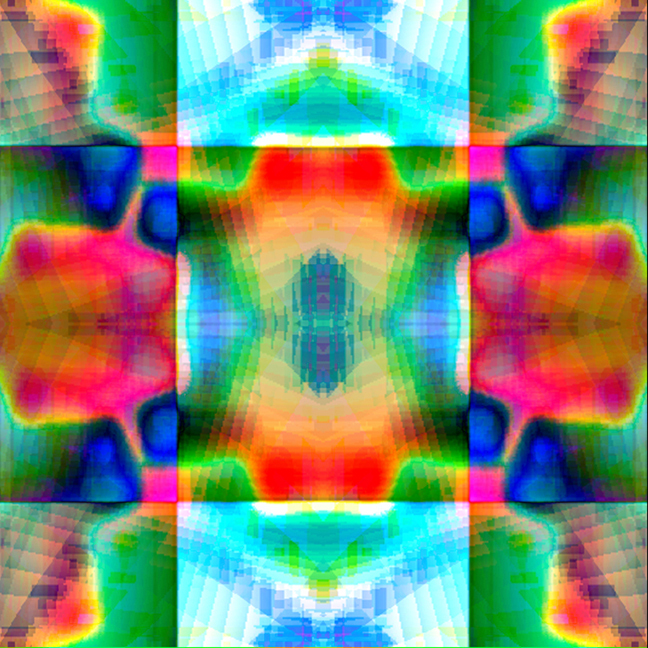 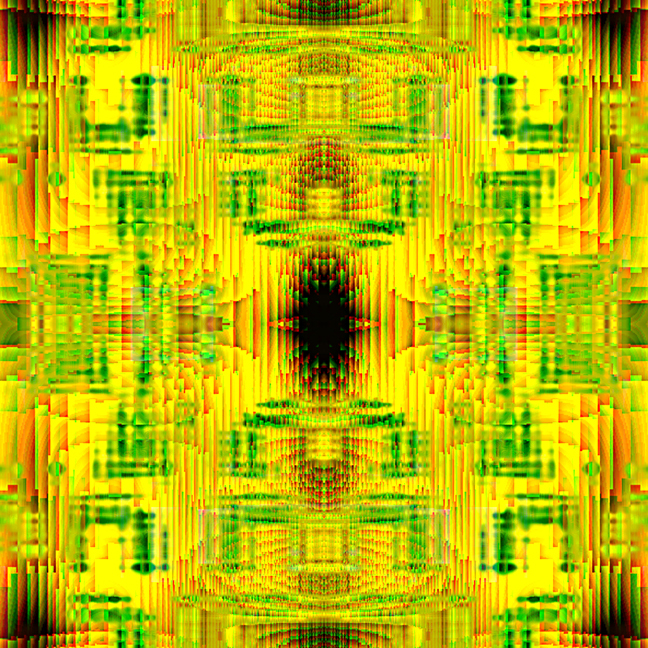 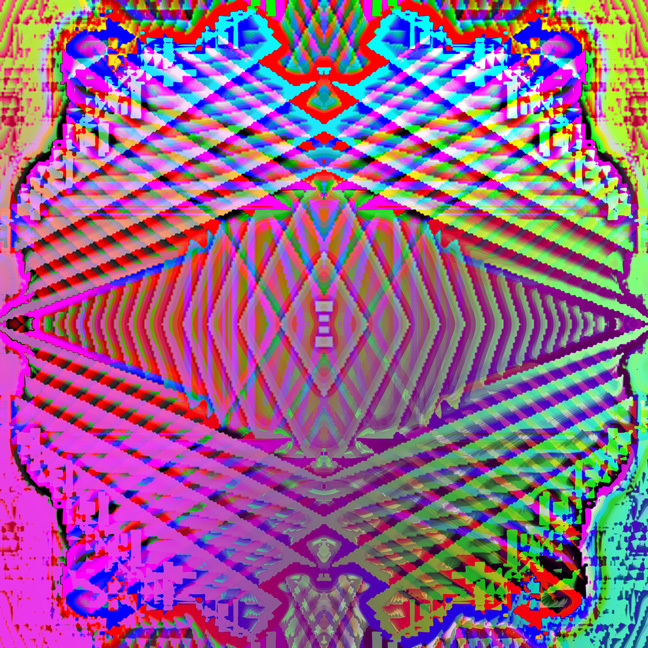 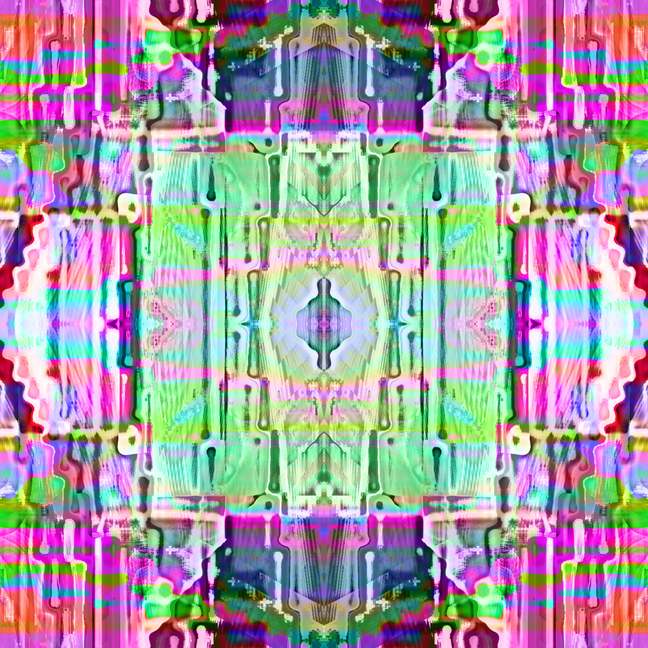 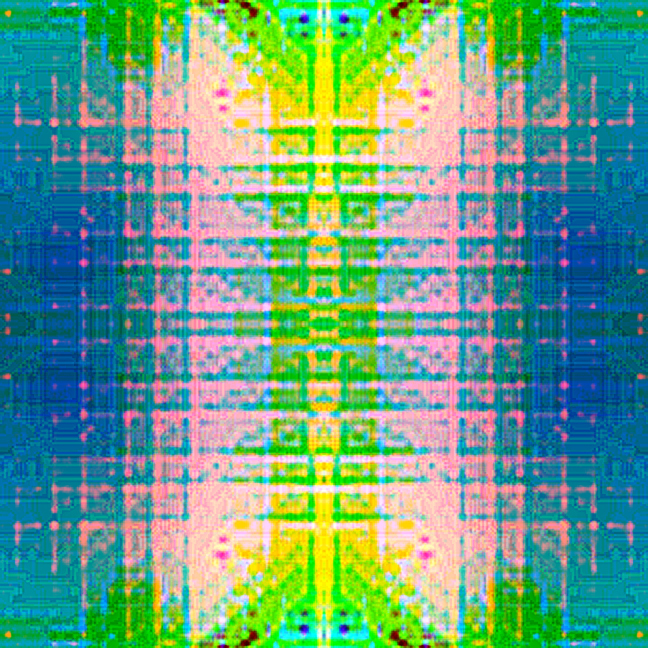 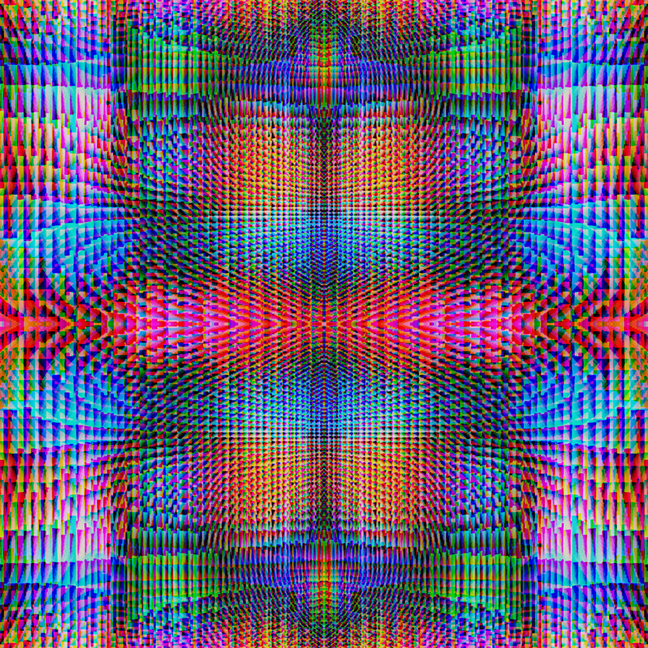 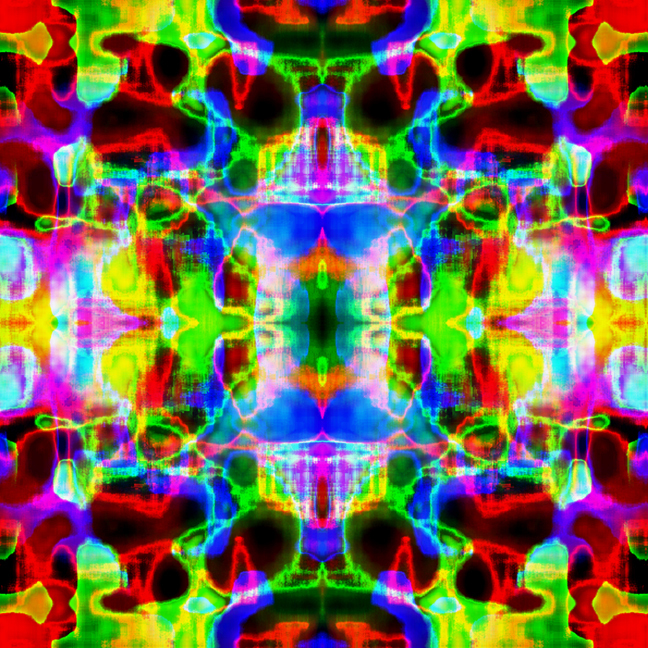 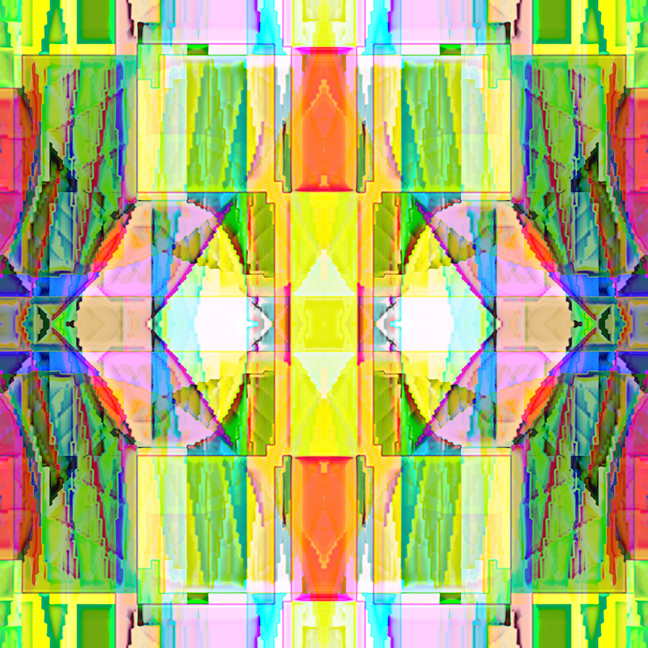 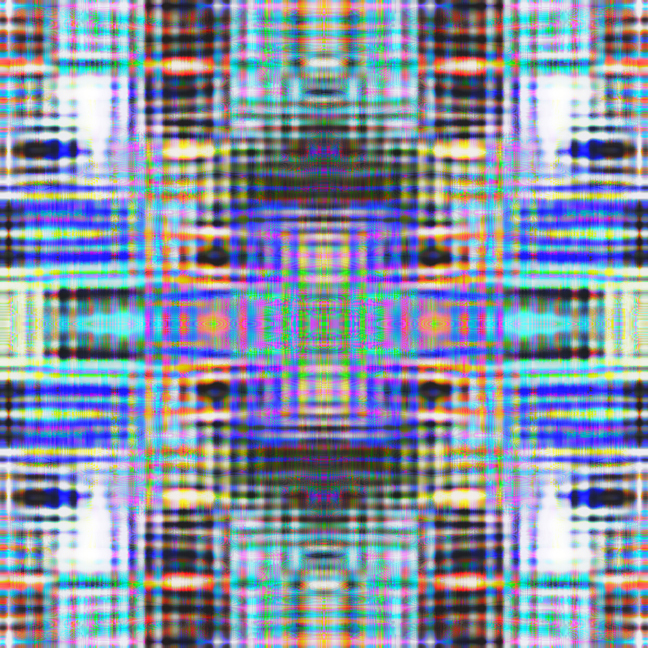 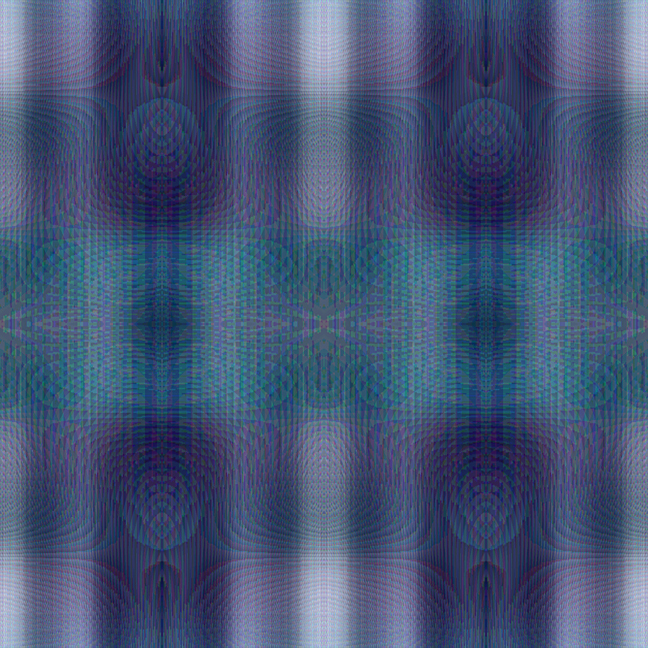 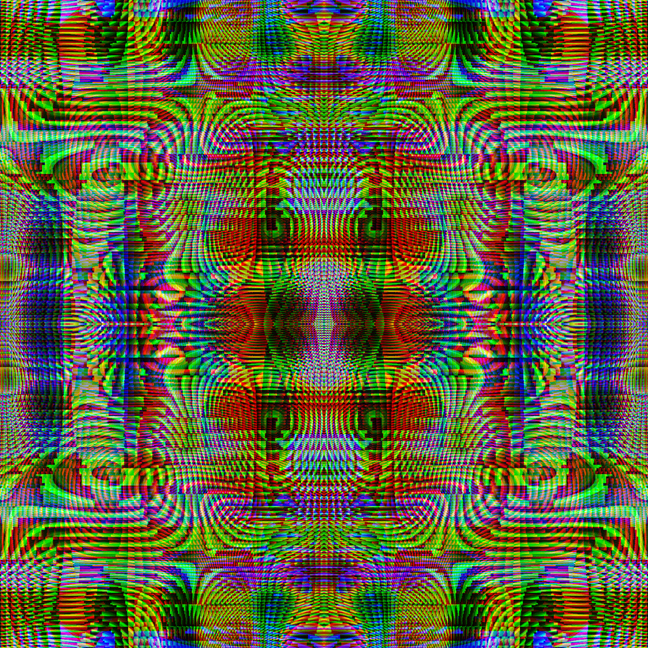 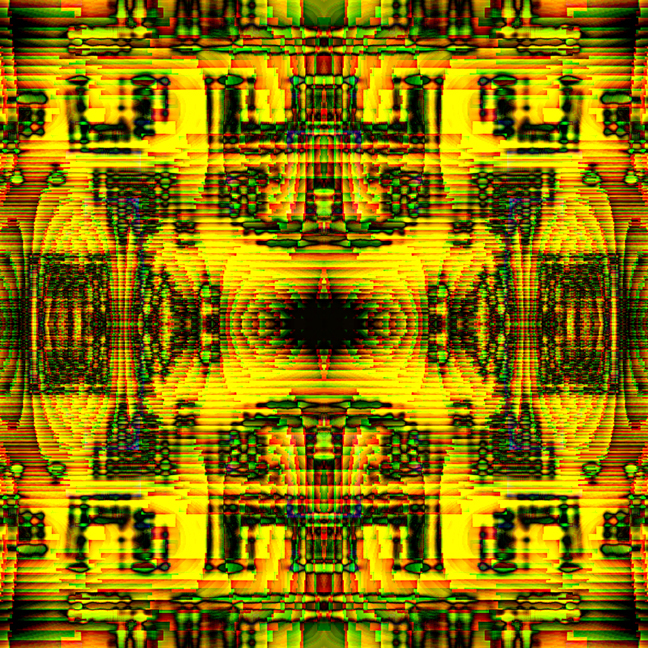 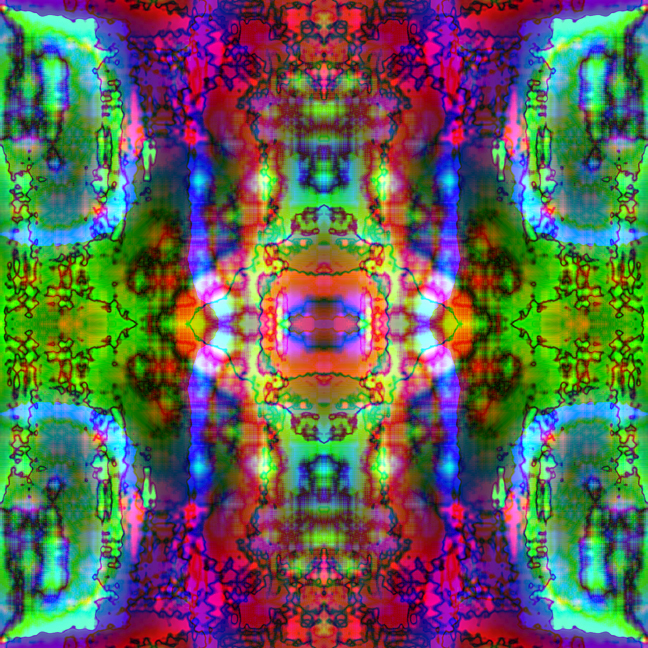 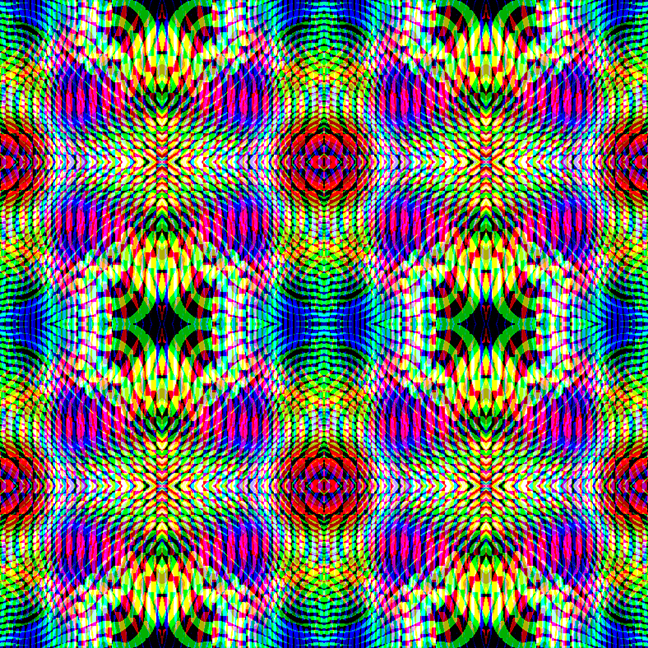 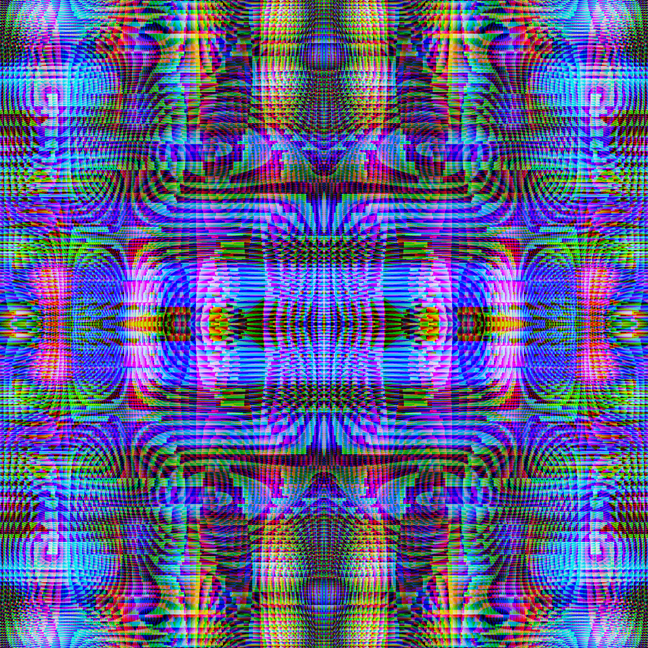 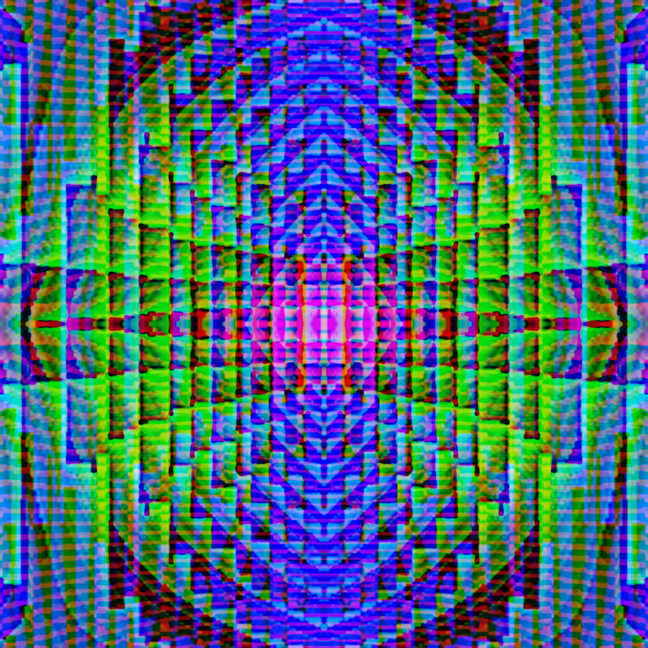 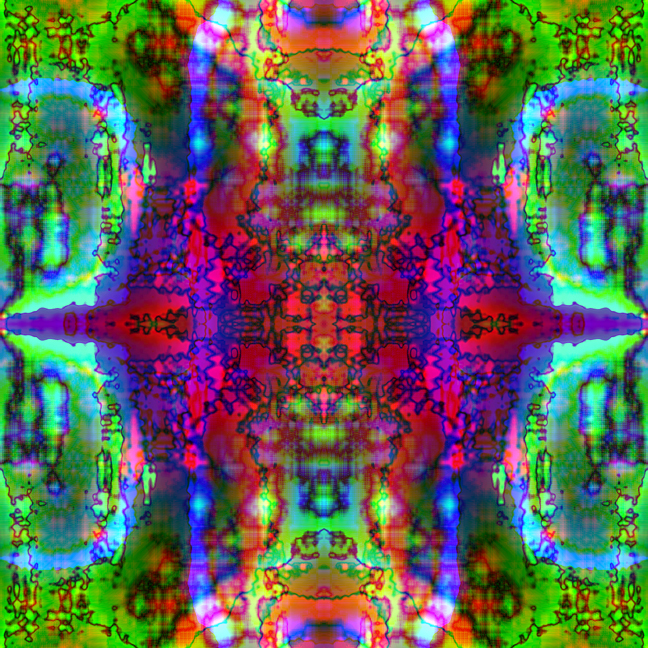 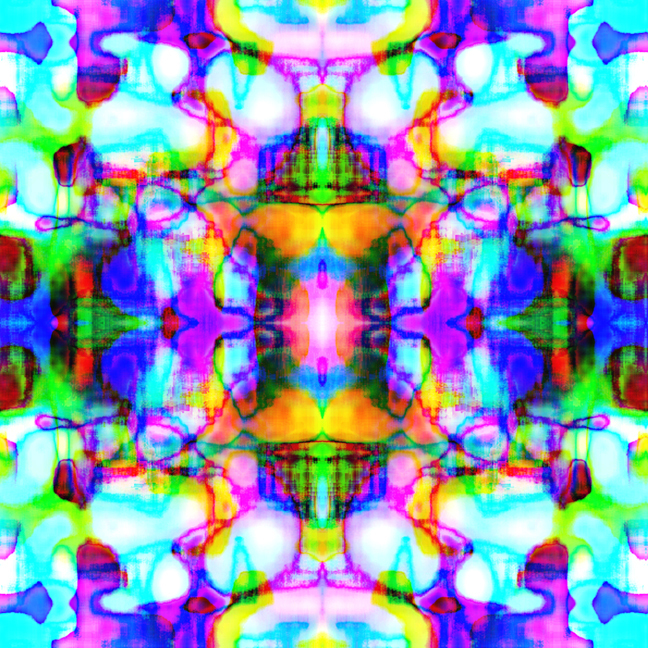 A small section was greatly enlarged and manipulated to create the individual glitch mandala pattens. 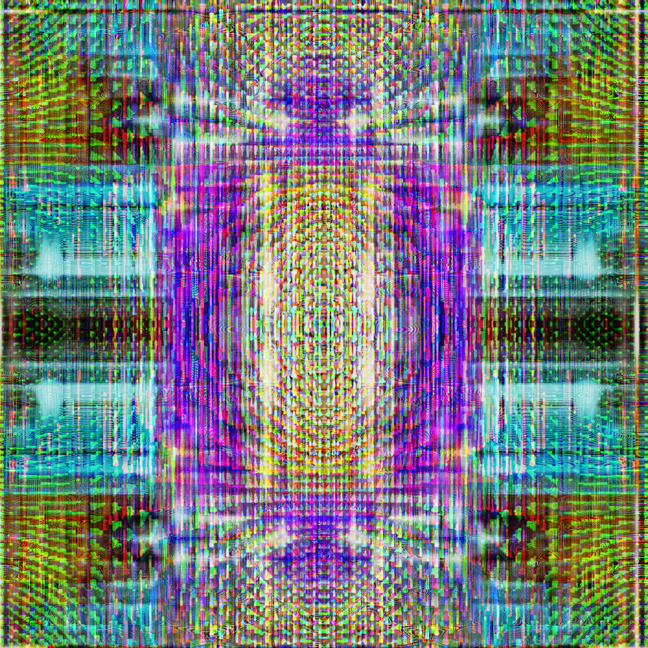 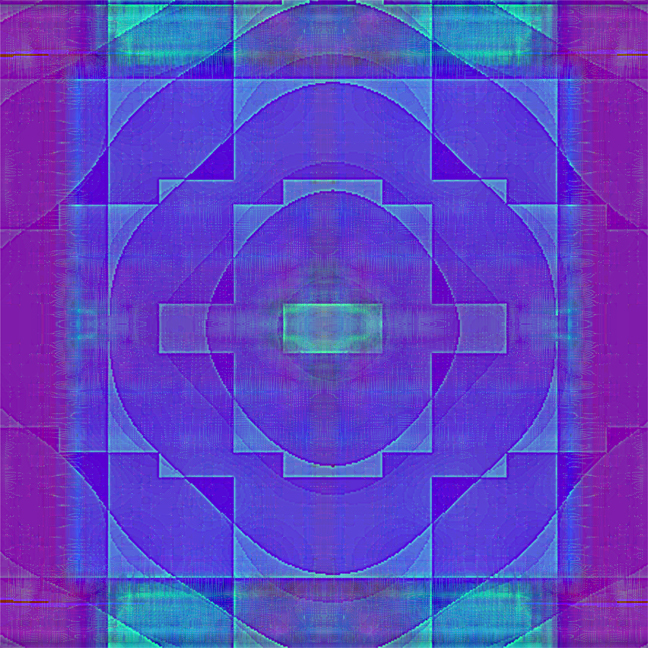 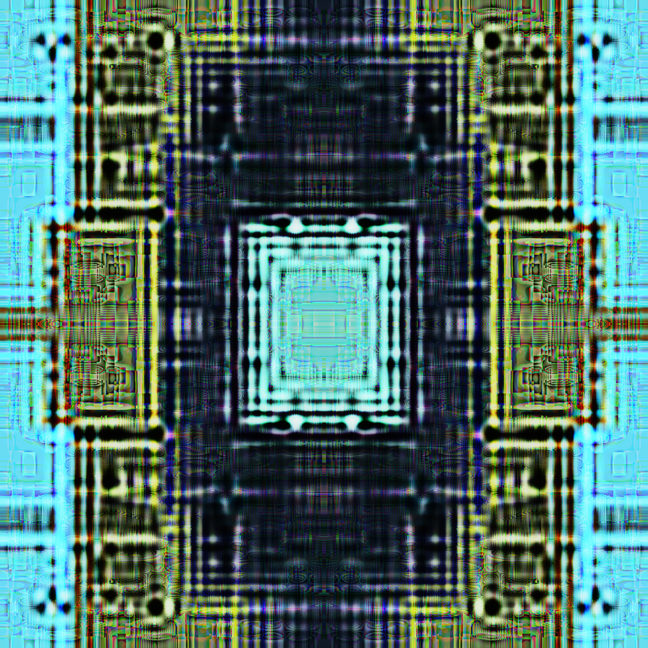 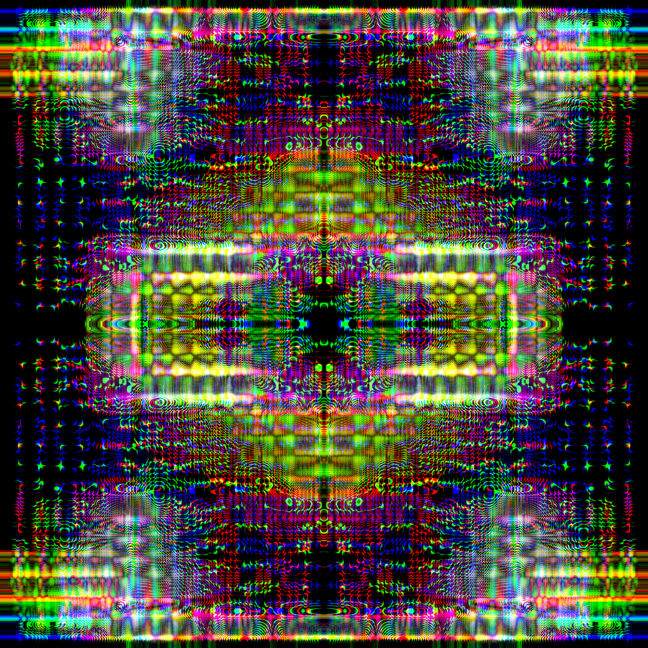 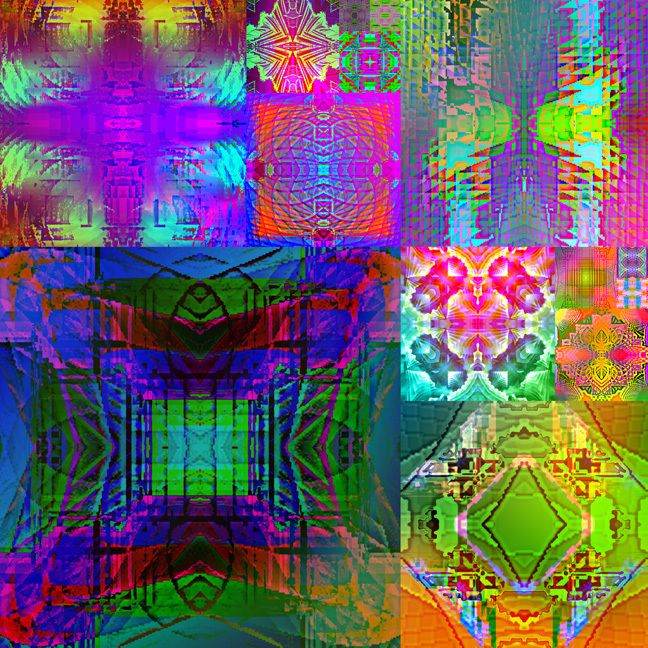 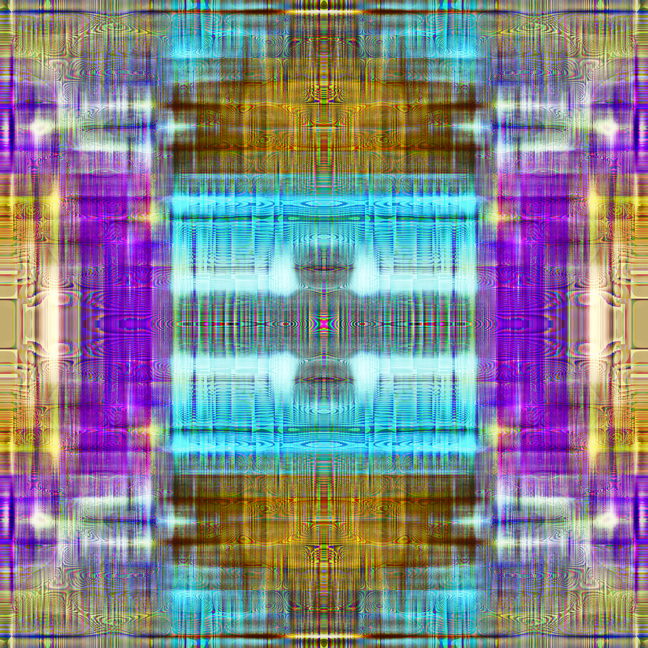 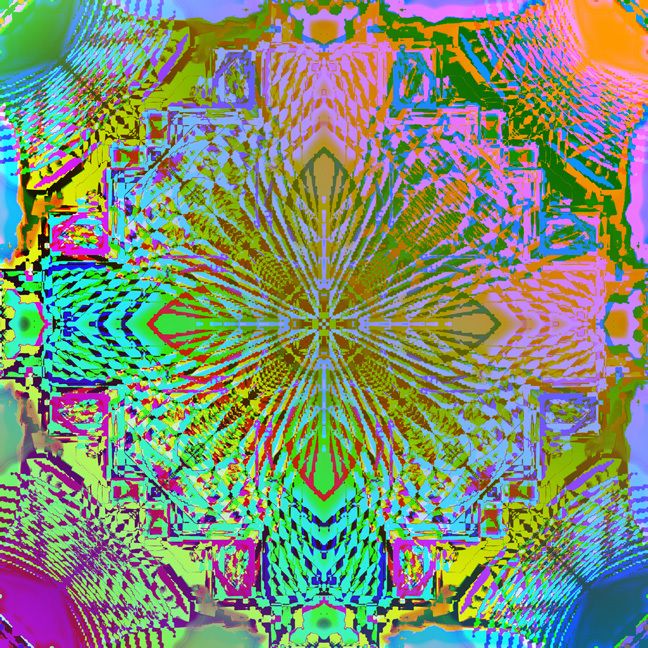 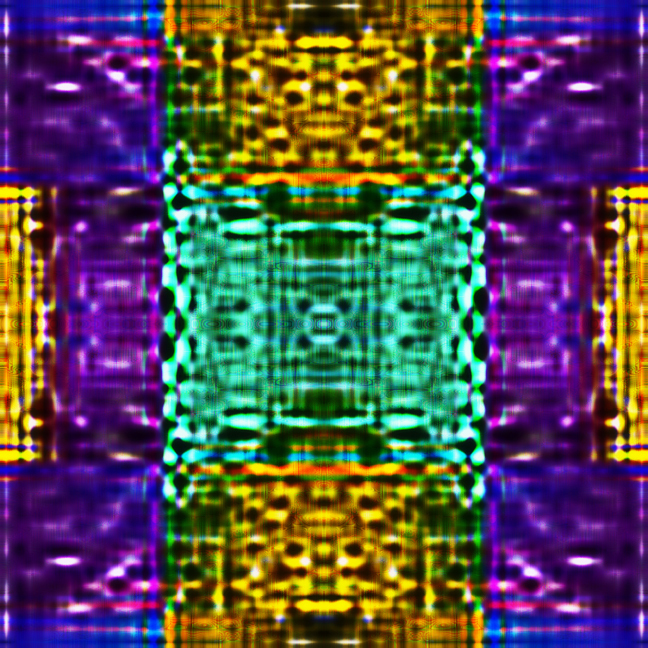 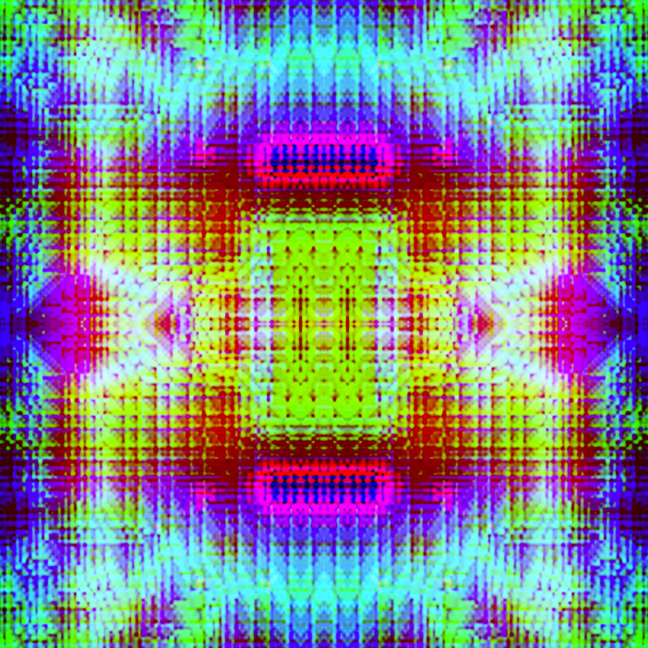 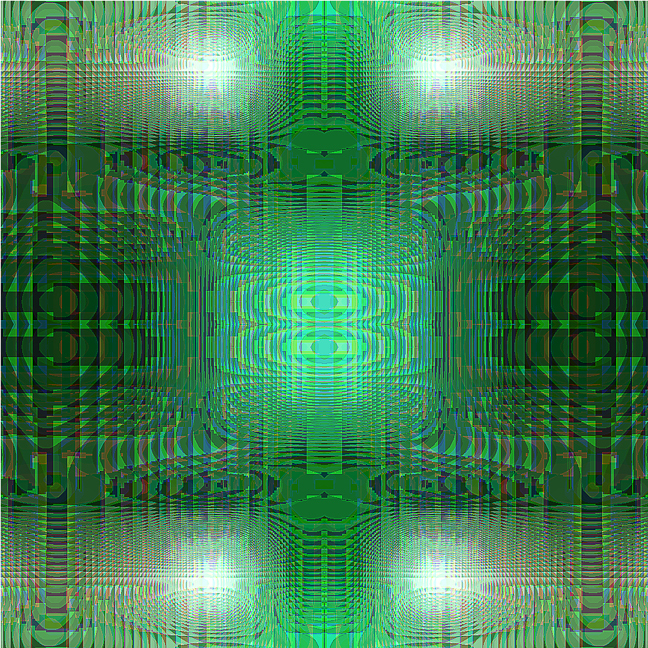 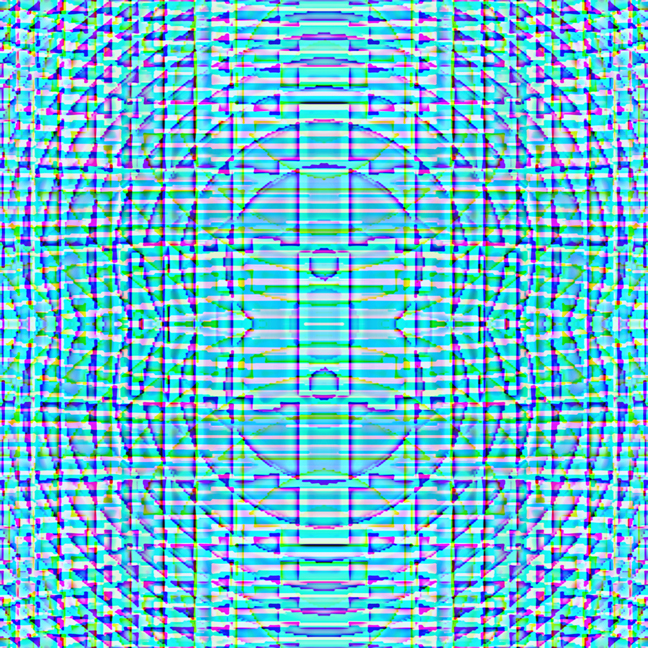 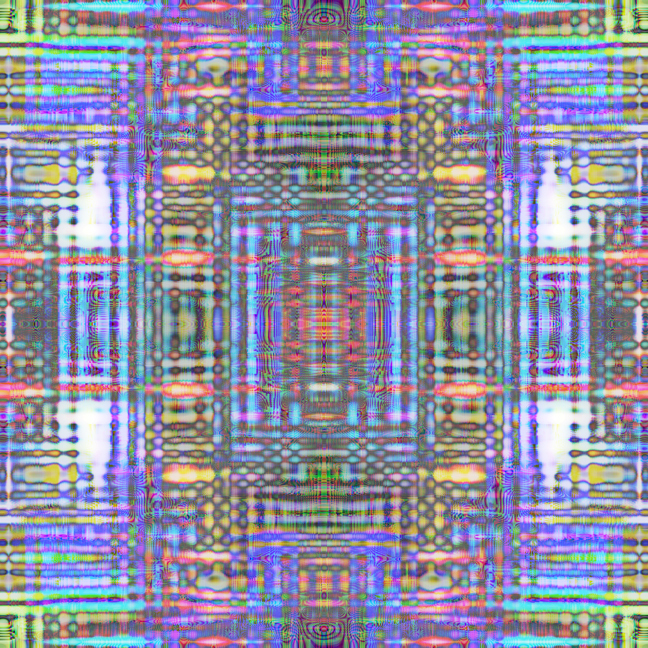 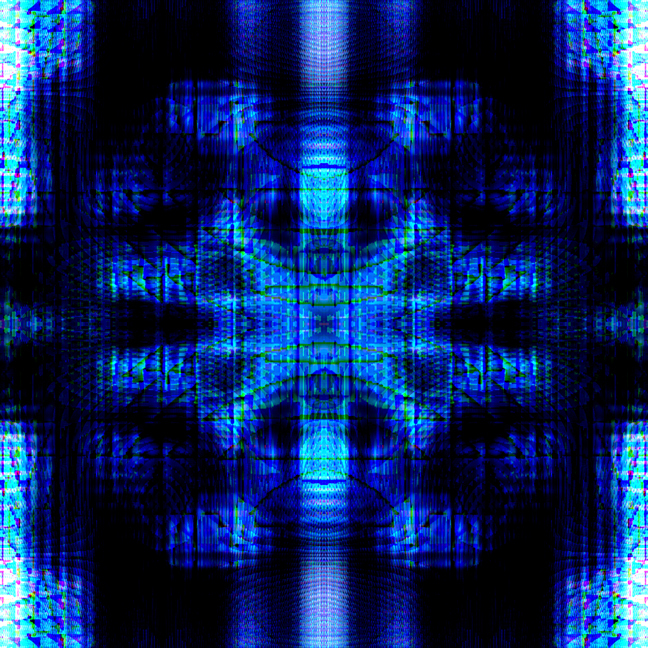 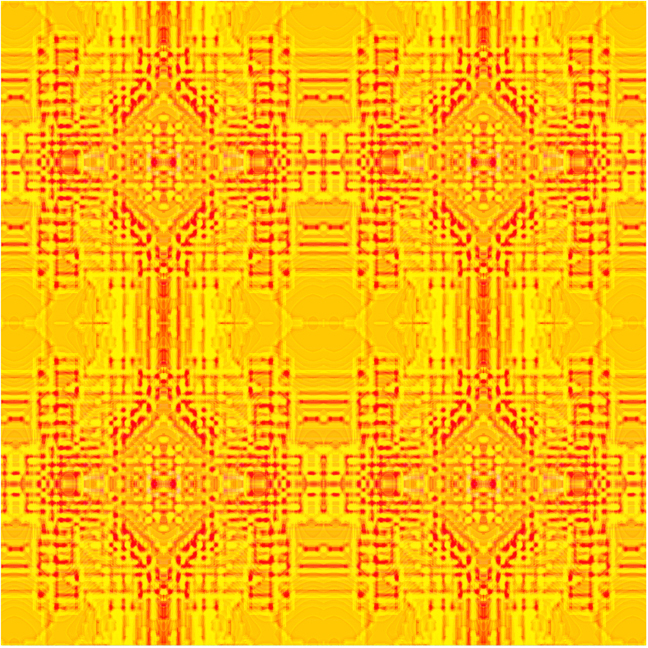 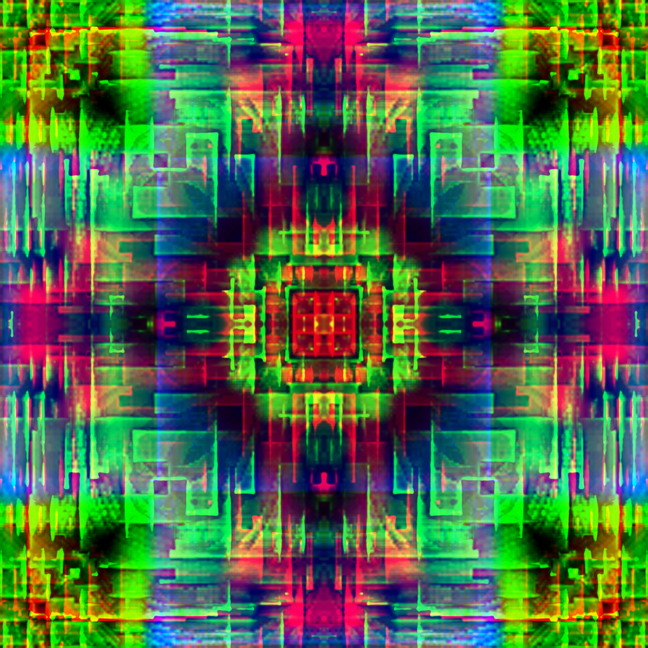 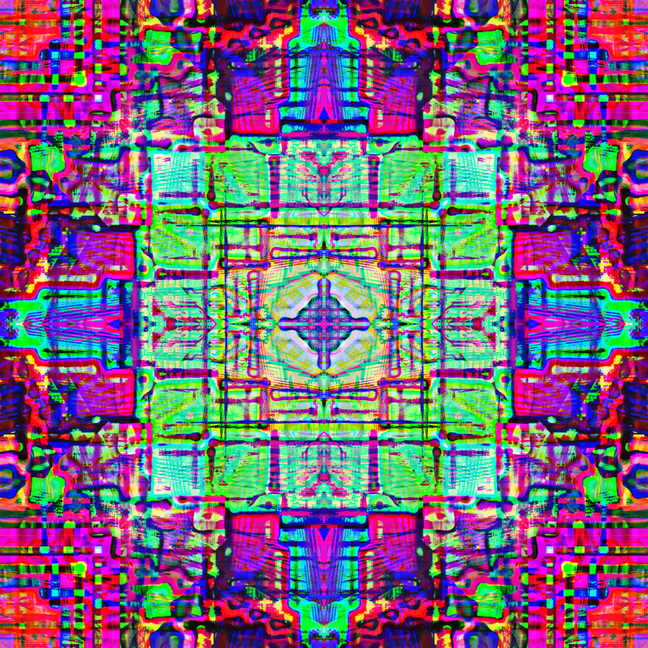 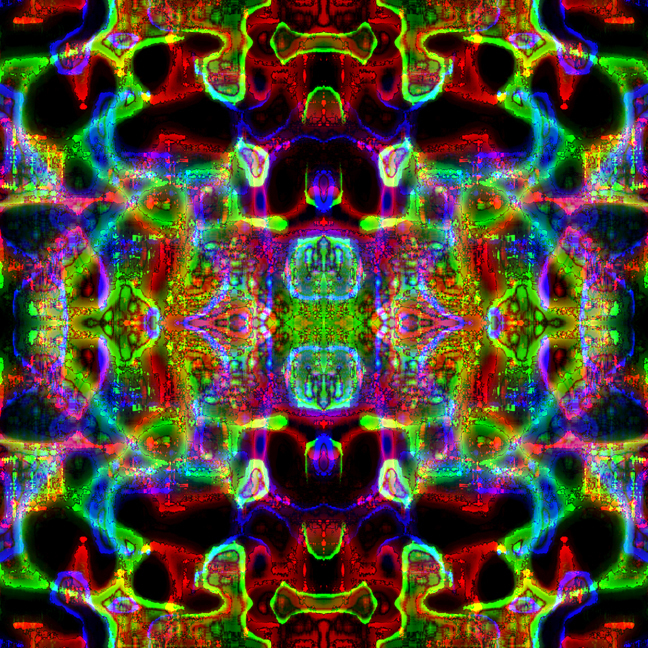 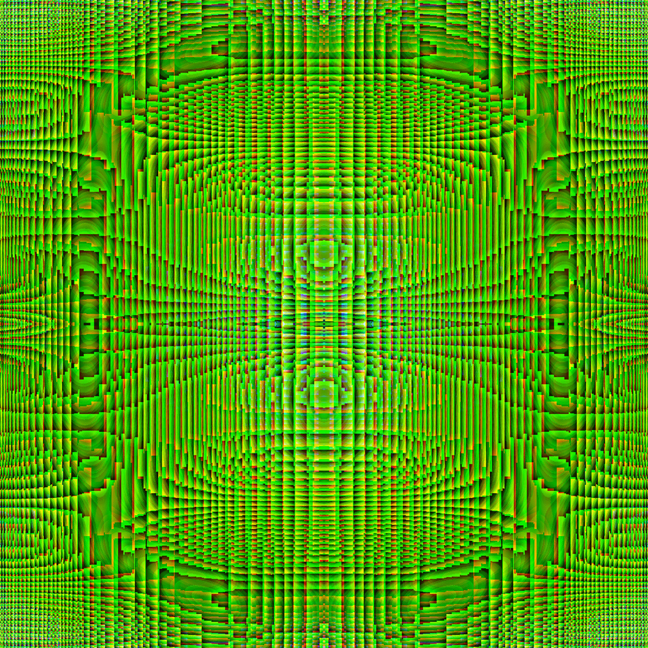 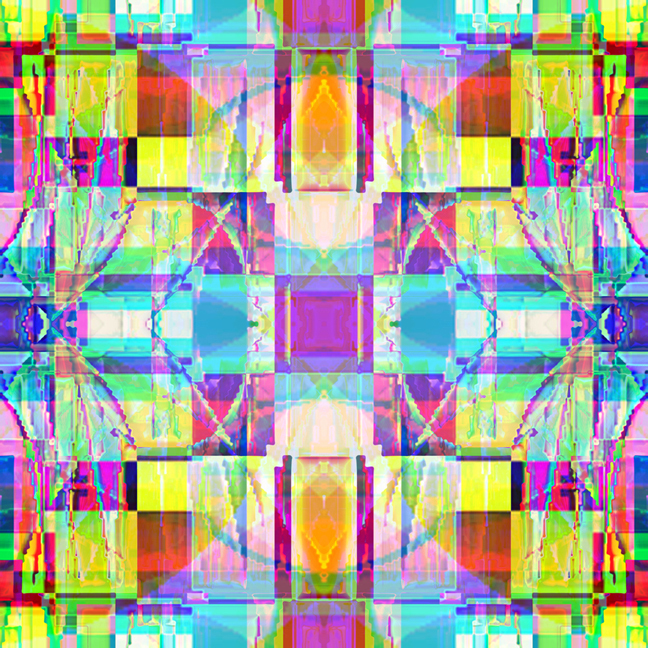 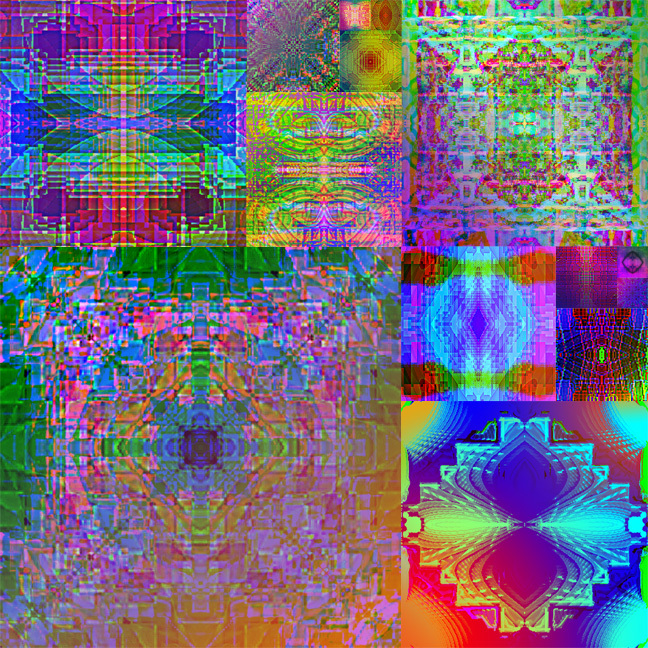 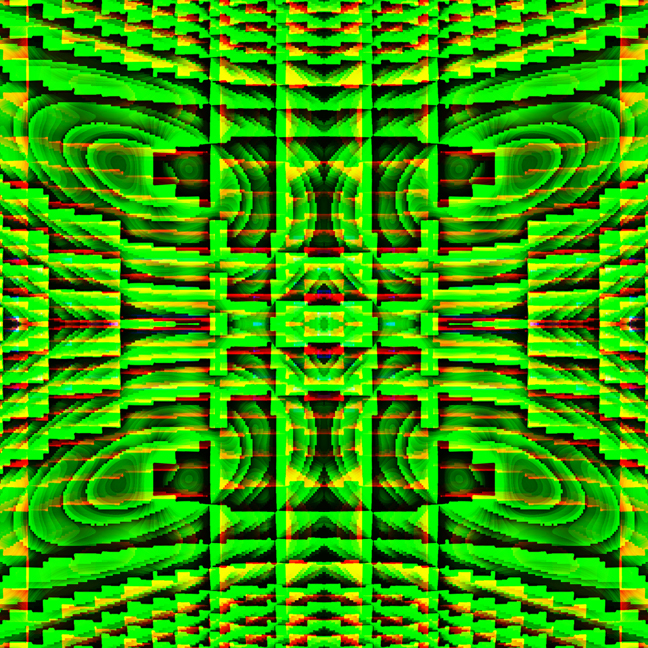 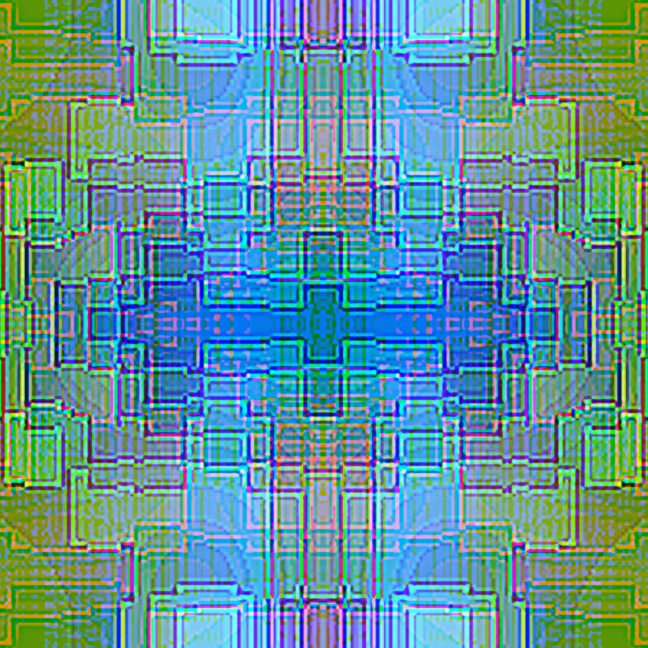 A small section of each glitch mandala pattern was used to create the next glitch mandala pattern. 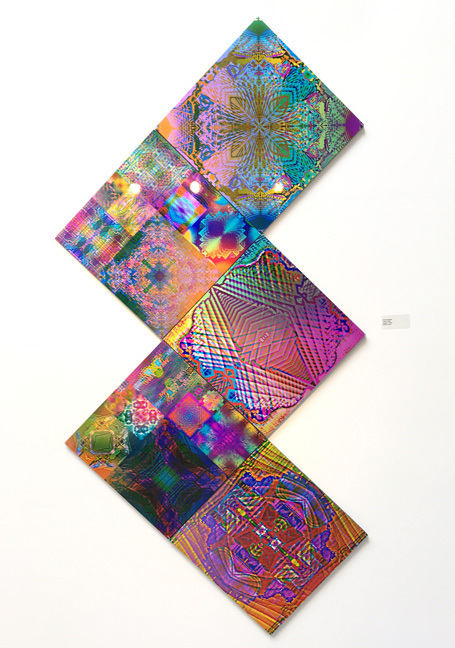 This installation was composed of 31 unique squares printed as Metallic C-Prints and arranged in a Fibonacci pattern. 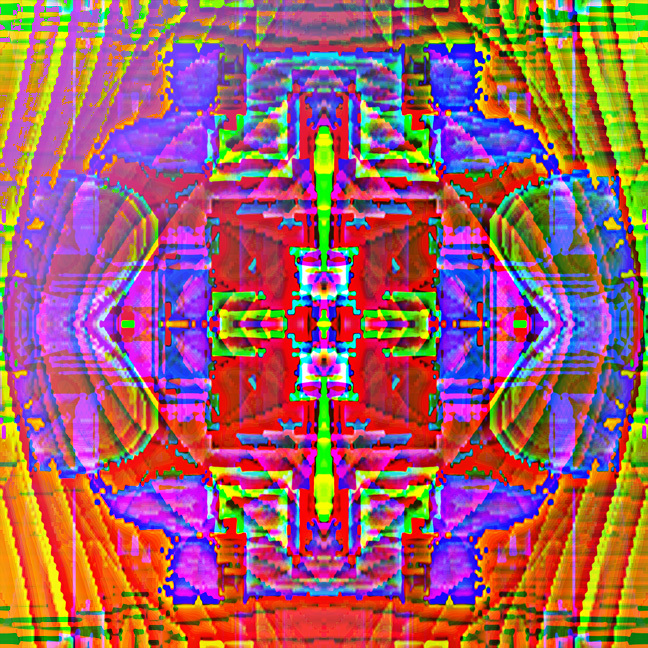 Images created from glitches found in videos on Facebook. 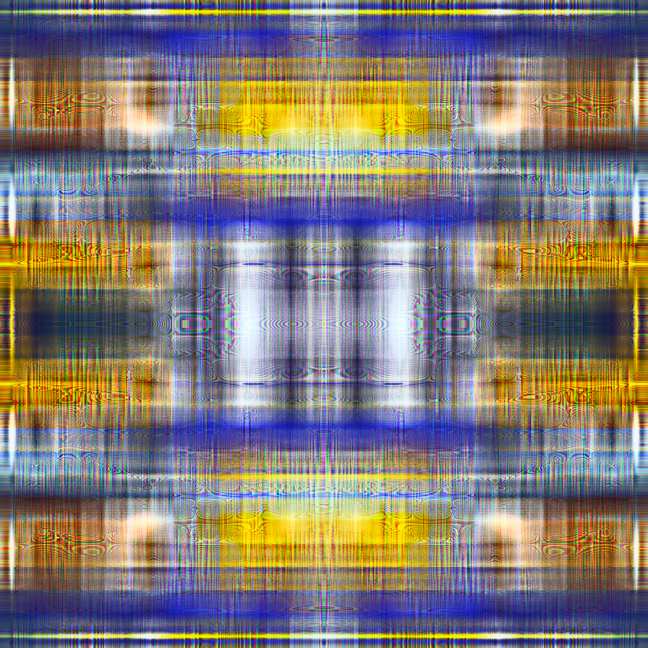 Videos freeze in glitch patterns as they were scrolled up the Facebook newsfeed. 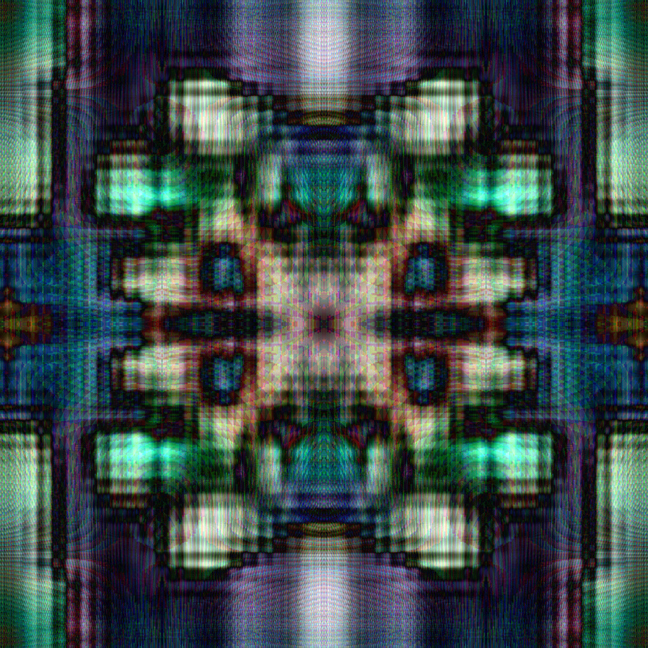 A small section was greatly enlarged and manipulated to create the pattens.